action is that the list of judges should be published 2 weeks before the event. groups A, B and C indicating the three groups with numbers indicating tail type. we will still be using the old system. B4 ( 8 ) Lyre Tails. C4 ( 12 ) Needle / Pin Tails. 1 Same conditions for all entries. 2 One entry of guppies per tank. 3 Air flow in the exhibition tanks. direct sunlight on the tanks. 6 Glass lids to the display aquariums. in the exhibition must have the same background colour. 8 The water temperature must be at least 22°C (71.6°F). 9 Illumination from above / in front must be 45 degrees. 11 Tanksize 10 – 12 litre (2.64 – 3.17 gallons). 12 Little plants may or may not be placed in the aquariums. 13 Acceptable water qualities for guppies (wellbeing of the fishes). 14 Water values for dH and pH must be announced in the invitation. 15 Equalize water temperature before letting fishes into the tanks. During the judging only 3 fishes must be in the tank. Any additional fish must be taken out by the Show Manager. body colour, cover colour, rank/place and points awarded. the selection must comply with the IKGH rules. 20 No photography is allowed in the show room before judging is finished. or European Championship or any other event must have public liability insurance. of the delivery or judging of the fishes. members of the IKGH and to the board of the IKGH. § 1.6 The quantity of participants cannot be limited. and not indicated only as a possibility. the IKGH members of the details. entries must be given 0 points on the list. the groups may be coded as a whole. than one individual per bag. ensure that five IKGH judges assess and judge every entry. country of the show organiser. in the invitation to take part in the show. 6 A maximum of two judges must be employed from any one club or any one country. § 4.3 The judges must be included on the result list by their full name. of the tank lighting must be announced in the invitation. 1. Take care of the show fish and ensure their good welfare. made by the Show Manager. result place and points achieved. as the IKGH within 4 weeks after the opening day of the show. tails, Sword tails and Short tails). best results of each breeder in Broad Tail, Sword Tail and Short Tail. PDF format to the IKGH Secretary for use on the IKGH website. participants, and the number of entries from each association. the results place and points. the sample in Supplement 5. English and in German to the IKGH. oversee the compliance to the IHS rules. 2 The International Observer must not be a member of the judging team. 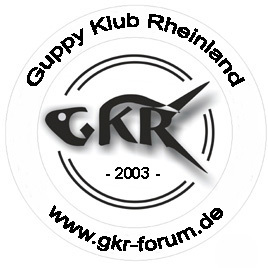 club that organizes the Guppy Show. and sent to the IKGH President. and other international Guppy Shows. Same conditions for all entries. One entry of guppies per tank. Air flow in the exhibition tanks. Glass lids to the display aquariums. The water temperature must be at least 22°C (71.6°F). Illumination from above / in front must be 45 degrees. judges and the show manager are allowed to enter. Little plants may or may not be placed in the aquariums. Acceptable water qualities for guppies (wellbeing of the fishes). Water values for dH and pH must be announced in the invitation. Equalize water temperature before letting fishes into the tanks. be taken out by the Show Manager. the host club and the IKGH and should be signed. No photographyis allowed in the show room before judging is finished. The quantity of participants cannot be limited. The organiser may limit the number of guppy entries per participant. competitions entries of one male and one female will be judged. Entries must be divided into groups according to the standard and body colour. the Show Manager and the judges. be coded as a whole. five IKGH judges assess and judge every entry. A maximum of two judges must be employed from any one club or any one country. A judge can only represent one club. The judges must be included on the result list by their full name. the tank lighting must be announced in the invitation. Take care of the show fish and ensure their good welfare. Display and judge every entry from a breeder. Sword tails and Short tails). results of each breeder in Broad Tail, Sword Tail and Short Tail. format to the IKGH Secretary for use on the IKGH website. the compliance to the IHS rules.